It looks like we have some more details about the designs of the 2018 iPhone X smartphones. 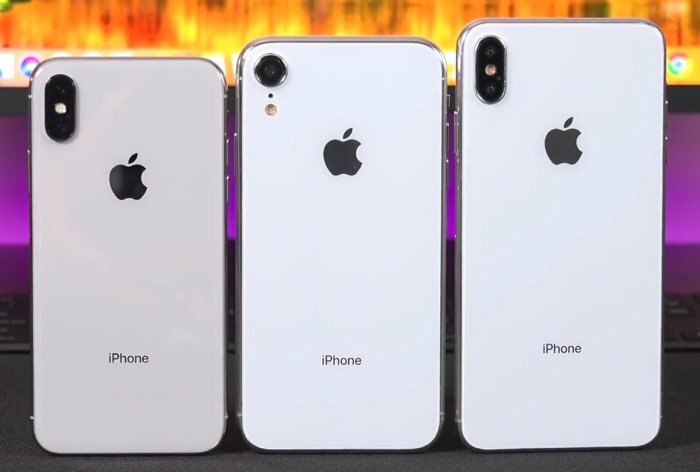 Some dummy units of the handsets were recently shown off on video and they confirm some details about the three new iPhones. The 6.1 inch LCD iPhone will come with a single lens rear camera, this handset is expected to launch as the iPhone 9. The two OLED iPhones will both come with a dual lens rear camera, one handset will feature a 5.8 inch display and the other one a 6.5 inch display. These devices are rumored to be called the iPhone XI and iPhone XI Plus. Have a look at the video below of these three dummy units of the 2018 iPhone X. The two OLED iPhones are expected to use the same dual cameras, all three handsets will have the same processors, the new Apple A12 processor which is expected to be Apple’s most popular to date. The three new iPhones will apparently all come with different amounts of RAM, the 6.1 inch LCD iPhone is rumored to come with 3GB of RAM and the other two models 4GB. We are also expecting storage options to range from 64GB to 512GB. Apple are rumored to be launching their three new iPhones at a press event in September, there are rumors that the LCD model may not go on sale until October.